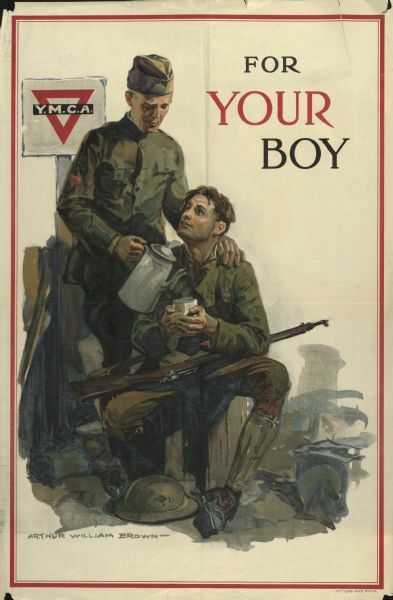 Poster depicting a man in military uniform pouring coffee for a younger soldier, who is sitting with a rifle across his lap. There is a YMCA sign behind them on the left. Illustration signed by Arthur William Brown.